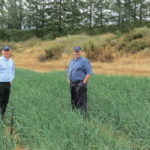 In the picturesque Ceres valley, we visited the ABSA Agri-Writers “Farmer of the Year winner”, Rossouw Cillie, on his Laastedrif farm; the last one on the route. This is one of six farms he owns, and has become on of the most successful commercially driven farmtrepeneurs of his generation. We were warmly greeted by Rossouw Cillie himself, with his hospitable and generous nature, making it clear why he is a deserved recipient of such a prestigious award. After our nearly 2 hour journey from Cape Town Market, with stop & go’s on the way, we are offered refreshments and time to freshen up. Before we sit down in his office to commence the interview. We are joined by his confident, and board director, AJ Griesel, who, without hesitation offers us more information to help with our interview. CTM: You are the farmer of the year 2013, what does award mean to you? RC: Our mission with this award is to address the problems we face in the agricultural industry, we don’t want to make it a political issue or a governmental issue, we don’t want to be playing in political or government arena, but we as Farmers are in the “primary agricultural” sector with fresh produce market’s being “secondary agricultural” sector, and there is legislation that is not farming friendly and we need to address these issues directly in order to make the legislation more farming friendly. We also need to improve our research and training facilities, and through enlightenment we need to identify potential candidates for the future of the agriculture industry. An example of the obstacles we face in our training facilities, is of a student from the Cape Flats. This student attends the Elsenburg Agriculture College in Stellenbosch and visited our Laastedrift farm recently. When asked what made him choose a career in Agriculture, he stated that he had never been on a farm, and the only reason for taking the course was that his prefered course intake was full. We need to reduce this type of occurrence as it takes away an opportunity of a young farming person, regardless of colour, who wishes to be in this industry. CTM: How does this affect Laastedrift and the community you farm within? RC: The social responsibility aspect must be highlighted, as the public is often unaware that there are the programs taking place on farms. We ourselves have a crèche, a clinic (with a fulltime nurse), a pharmacy, a library (in conjunction with the local authority), as well as school built by Laastedrif which has electricity provided by the farm.. The only contribution from the local municipality is the rent, which in its own not be able to sustain the school but is non the less welcomed. CTM: What advise can you offer to new farmers or those striving to be the best? RC: It’s a short and sweet answer. You are only as strong as the people and experts you surround yourself with. Even though I am the owner, I’m not the only one in charge and responsible for the business. I have sacrificed to form a company, which I am a director of as well as many others who sit on the board, including AJ. If you are a new farmer, ensure that you utilize the best technical experts, and listen to their advice. Don’t let one expert advise on something that is out of his field. The newer you are, the more you will concentrate on the technical aspects. The more you grow and the more experienced you become, you will be required to place more emphasis on the management side of your business. Production and quality is paramount in evolving your business. Achieving this means that when adverse weather occurs or low market prices are dominating, you will be ready for to see it through. These are factors that we face, given that the right price is rare, you have to have your production and quality ready for that demand. Lastly, get yourself mentorship or a good sounding board, as this has helped me in the past and even today I still seek advise and guidance from these channels of wisdom. CTM: What is your view on the future fresh produce markets? RC: Fresh Produce Markets are here, and they are her to stay. In my view the more ownership that can be placed in private hands the better. This will mimic the European model which can also bring big changes to the Markets. Municipal market’s profits got to the local authority, and we understand that they need a source of income, but to much of this money could have ve been reinvested in those Markets. 70% of my produce goes to direct channel sales and 30% to fresh produce markets. However, this 70% constitutes 4 clients, so the biggest client is fresh produce markets. There will always be a place for both direct and market channels, but we must admit, whether we like it or not, fresh produce market’s provide the price setting mechanism that we all work off. CTM: What is your view on accreditation such as GAP? RC: This sort of accreditation is very important for sustainable farming. Accreditation such as GAP provide farmers with the correct methods and highlight inefficacies that could have an effect not just on the production and quality but also the environment and labour. I myself had incorrect practices and I was so adamant that my methods were correct. It was only later that I realized the negative affect of my actions and took corrective measures. These accreditations also will ensure food safety and security to all consumers along the value chain through the correct checks and balances. CTM: What is the biggest challenge SA fruit and vegetables face, as well as the challenges farmers face with adverse seasonal weather? RC: We are fortunate that we have had very little damage. Unfortunately our community empowerment farm, has seen more damage, about 30% of their fruit was lost. After I started farming on my own in 1993 there were a few years that I had a over ripe crop, there was a bit of hail too. From 1998 to 2003 I had four over ripe or hail crop pickings that nearly brought to my knees. In financial terms, I was bankrupt. No person at that stage could see themselves farm out of such a position. At one point we made a business decision to take out harvest insurance for hail and ripe crop. We were aware that the costs associated with this type of insurance was expensive, it costs us almost 6% premium, but the bottom line is that if you have 100% damage because of ripe crop. The risk not taking this insurance, is much greater. CTM: You ancestor Piet California, has an unusual nickname, how did this name come about? RC: The Government in the late 19th century, sent him on a journey to research growth patterns in different countries. He left on a boat to America, the trip was long but he eventually ended up on the east coast of America. 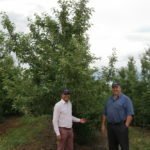 Here began a project to develop similar crops in South Africa. Together with men like Cecil John Rhodes and John X. Merrimen, he was very influential with the export and growth of agriculture in the Western Cape and the rest of South Africa. Given his time in America he became affectionately known as “Piet California:. Rossouw is obviously passionate about farming and it shows. We leave the Laastedrif and prepare for the journey home. On the way home we reflect on the discussion, the industry and Laastedrif; we feel confident that our industry is going from strength to strength, and under the leadership of farmers such as Rassouw the future is bright. 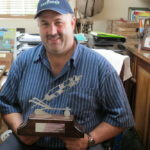 The Cape Town Market would once again like to congratulate Rossouw Cillie on winning “Farmer of the Year” and thank him for his kind hospitality. © 2019 Cape Town Market All Rights Reserved.